The nurse practice with compassion and respect for the inherent dignity, worth, and unique attributes of every person. The profession of nursing, collectively through its professional organizations, must articulate nursing values, maintain the integrity of the profession, and integrate principles of social justice into nursing and health policy. 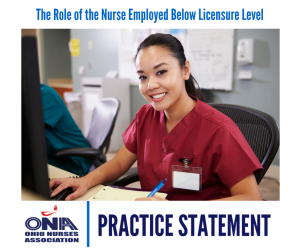 In accordance with the Code of Ethics for Nurses, the intent of this statement is to provide guidelines for nurses practicing below their licensure level. The nurse’s role must be consistent with professional standards as developed by the nursing profession, the scope of practice as defined in the Law, and the rules promulgated by the Board of Nursing. All licensed nurses have a responsibility to ensure optimal patient safety and welfare. While it is expected that all licensed nurses will work to the extent permitted by law, it is acknowledged that some may not be able to find a suitable position immediately after licensure. An example could be the APRN continuing to work in an acute care setting as an RN while awaiting credentialing, etc. for an expanded role. 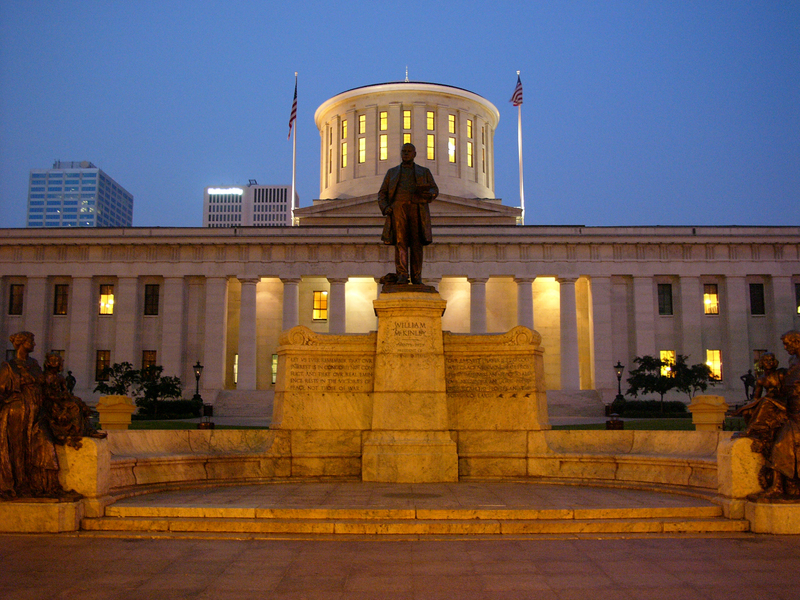 According to the Ohio Board of Nursing FAQs for Registered and Licensed Practical Nurses, there is no prohibition against working below licensure levels. When a nurse chooses to do so, the nurse should not identify him/herself as a nurse. The nurse working below licensure level would still be required to act prudently based on educational preparation and would be held to that standard. The nurse working below licensure would still be required to maintain current knowledge of the duties, responsibilities, and accountabilities for practicing within their respective scopes of practice and for safe nursing practice. An LPN or any other unlicensed person may not supervise an RN’s nursing practice. An unlicensed person may, however, supervise basic employment issues.